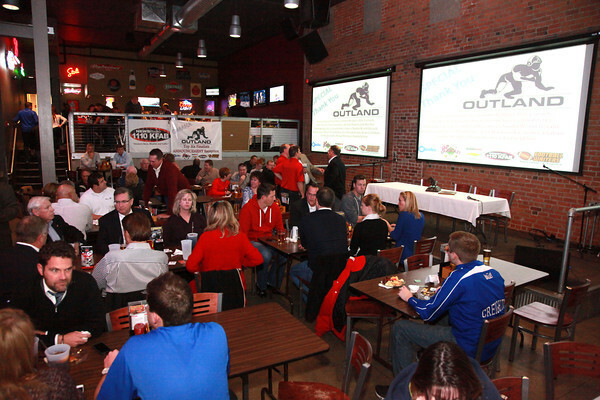 Join us for the 3rd Annual Semi-Finalists Reception for this year’s Outland Award Trophy on Thursday, November 19 at 7 PM, DJ’s Dugout, 10th & Capitol Avenue, doors open at 6:00 pm. 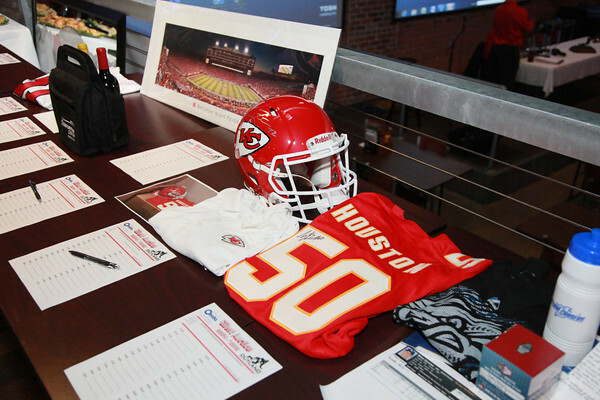 The event is about college football – in Omaha that will make national news! “LIVE FROM OMAHA NEBRASKA,” the Greater Omaha Sports Committee will Officially Announce the Semi-Finalists for the Outland!! Save and get your group together! Advance tickets are just $10 each. Includes two drink tickets, hors d’oeuvres and door prizes throughout the evening. Tickets at the door are $15 each. Reply to this email or call our office at the Greater Omaha Sports Committee (402) 346-8003. We will have your tickets at the reception. The Outland Trophy Award Dinner’s emcee, Greg Sharpe, Voice of the Huskers, will also be the Master of Ceremonies at the event. 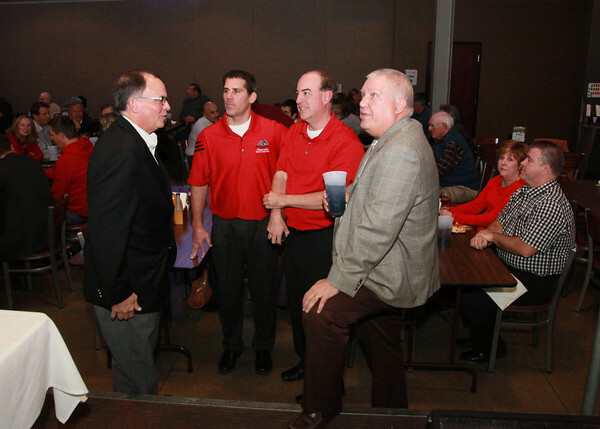 The evening plans will include a number of familiar faces in the Omaha Sports Community including, Lee Barfknecht of the Omaha World-Herald, members of the Outland Trophy Award Dinner Committee, Rotary Club of Omaha-Downtown and the Greater Omaha Sports Committee. Husker Greats will also be in attendance. The Outland Dinner Committee would like to thank our Reception Sponsors: Coca-Cola, Coors Light, and the Omaha World-Herald. The evening will offer door prizes and chance to participate in a silent auction with exciting items, a hint of these items include: Front Row tickets to the College World Series; Pacific League AAA professional championship baseball items; KC Chiefs NFL game tickets; autographed books by Tom Shatel, Sean Callahan and Eric Crouch and other great books; Nebraska volleyball tickets; Creighton women’s & men’s nasketball tickets; Coors Light Neon. There will be pregame — LIVE from 2 to 6 at the event — Unsportsmanlike Conduct. There will be video streaming with each of the semi-finalists for the Award. Those recognized last year are all playing in the NFL on Sunday, except one junior who will probably make the list again this year. The Football Writers Association of America has awarded the Outland Trophy to the Best Interior Lineman in all of College Football since 1946. For the third time, the FWAA will narrow the search of the best linemen throughout the country to six or seven semi-finalists. Omaha will officially announce the semi-finalists at a reception on Thursday, Nov. 19. The reception will take place at 7 p.m. at DJ’s Dugout, 10th and Capitol Avenue. The FWAA will conduct the voting and selection process to determine these top college players. The Greater Omaha Sports Committee is excited to have this opportunity to recognize these outstanding players who could become the 69th winner of this prestigious trophy. The Outland Trophy Award Dinner, hosted by Omaha for 19 years, will be presenting the Outland Trophy again this year on Jan. 14 at a banquet at the DoubleTree Hotel in Downtown Omaha, Neb. These unsung heroes deserve attention and recognition for their hard work, sweat and blood, poured into battle every Saturday for a game that is won or lost in the trenches. The one that rises to be the best, the unsung hero, the Outland Winner! This Announcement will lead into ESPN’s announcement of the three finalists for the 2015 Outland on Tuesday, Nov. 24, and The Home Depot College Football Awards on Thursday, Dec. 10. Mark your calendars! For the 19th consecutive year, Omaha will present the Outland Trophy Award to college football’s top interior lineman. This year the Outland Trophy Award Dinner will be held Thursday, Jan. 14, 2016, at 7:00 pm, at the DoubleTree Hotel, 16th & Dodge Streets. Tickets are $75 and tables of 10 seats sell for $750. In addition, past Outland winner Randy White from Maryland and the Dallas Cowboy will receive his Outland at the event. And Tom Osborne will present the second annual Tom Osborne Legacy Award to Jim Ridlon Sr. Also appearing at the dinner for the 18th straight year will be the winners of Nebraska’s football senior awards — the Novak Trophy, the Chamberlin Trophy and the Cletus Fischer Native Son Award. Nebraska Coach Mike Riley and assistant coaches will be invited to attend. Hope you can make it and feel free to invite others.